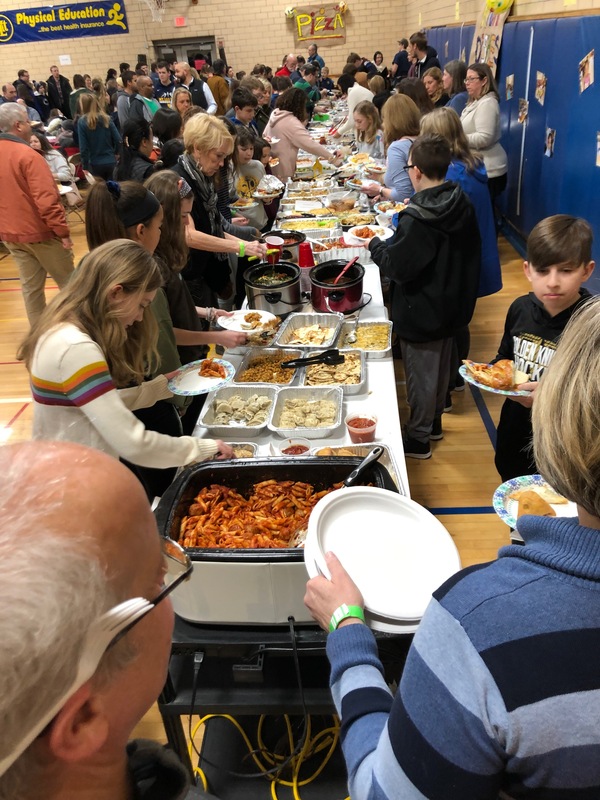 It may have been a cold January night, but inside Jefferson Middle School you could feel the warmth of the community coming together for their 12th Annual International Night to celebrate the diversity of JMS students. The incredible turnout enjoyed a delicious community shared potluck dinner. The students participated by selecting their favorite cultural dishes to share and by developing an International Talent Show that was performed at the end of the evening. The event raised $6,000 for the Cali Orphanage Fund in Haiti which brought the overall fundraising for the orphanage to $40,000 over the last 12 years. The leftover food was donated to the Pittsburgh Food Bank. The event would not be possible without the organization of JMS faculty Ms. Ashlee Beckett and Molly Wetmore.